Posted by Web Administrator on August 9, 2018 under Community Network in Action. Planting trees is one of the simplest and most affordable ways to help nature regenerate lost landscapes, increase biodiversity, and offset carbon emissions. But beyond the known global benefits of reforestation, there are many additional multi-dimensional advantages that trees can provide to a particular region. ARCOS Network is thrilled to announce its new partnership with One Tree Planted in an initiative aiming to contribute to the restoration of Rwandan landscapes. This is a fruit of tireless effort of ARCOS Network’s team and World Resources Institute’s, to mobilize resources and new partners for effective Forest landscape Restoration. We welcome everyone interested to join in and help meet the reforestation goals and ensure this great work benefit rural communities, the country as well as the whole world. The focus of our reforestation efforts in Rwanda will be focusing on agroforestry and food security, which will also help to reduce soil erosion, landslides and severe floods downstream, benefit environmental restoration, store carbon, and ensure that more families thrive. 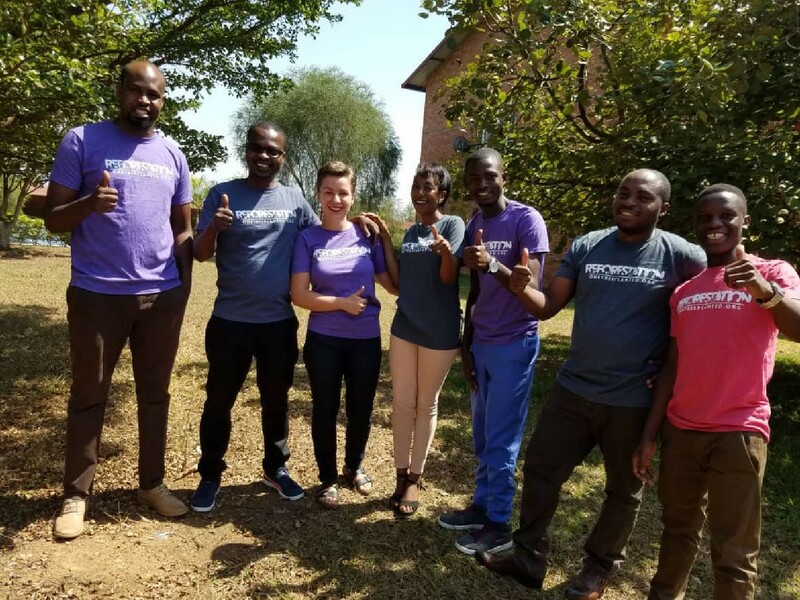 ARCOS network, will partner with one women-led farming coop community called Jyambere Munyarwanda, which operates in the Mukura Sector, Rutsiro District, in Rwanda. This coop was initially started with 200 members in 2006, and has grown to 313 members divided into 6 sub-groups. Jyambere Munyarwanda strives to improve livelihoods of vulnerable people, especially women and youth, through sustainable agricultural practices, and promoting cultural values/natural heritage conservation in agricultural areas. Its activities include livestock rearing, horticulture, and producing and planting trees in various member farms. The coop also carries out activities to raise awareness about the benefits of land restoration and sustainable agriculture. Agroforestry is agriculture that incorporates the cultivation and conservation of trees, and it is gaining attention as a productive practice that leads to soil enrichment rather than soil depletion. 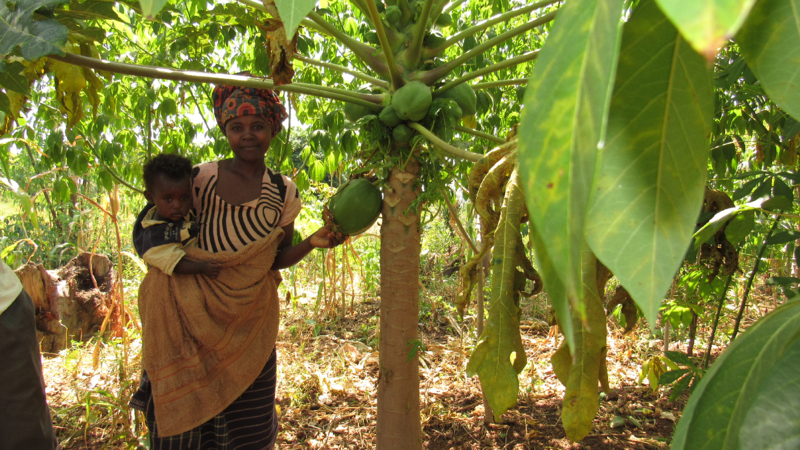 After many years of conventional farming, farmers have begun to realize that such practices lead to diminishing returns, and that agroforestry provides a more sustainable and net-positive solution. In addition to soil depletion, it has been a combination of deforestation for timber and fuel, a growing population, conflict, climate change, and landslides that have all contributed to the need for reforestation in this area. We sense that there are great structures in place to not only complete this project successfully for lasting benefit, but that there is potential for this model of women-led sustainable agroforestry to spread to neighbouring farms and communities, ultimately expanding practices that are good for people and the planet. “Forest landscape restoration involves listening to the beneficiaries, to people, to see if their needs can be met. At the same time, one of the goals of restoration is to restore the services that the forest landscape used to provide,” says Sam Kanyamibwa, Executive Director of ARCOS. The trees we will be planting this fall will include an assortment of species for the mountainous ecosystem around the farm to reduce the frequency of floods, which have been a challenge for many years, as well as fruit trees to be planted within the farm, these will include Grevillea, Markhamia, Plyscias, Avocado, Lemon, Tree Tomatoes, and Orange trees. The project plan will also encourage communities to plant the indigenous trees easily propagated by cuttings including Erythrina and Ficus. Food-producing trees offer many of the same environmental benefits as other types of trees, with the added advantage of producing food to be consumed and sold. Because food production is essential, and the trees are a part of the farm, this creates an inherent certainty that the trees will be well cared for in the long-term. A unique facet of this coop is that it operates just so. as a cooperative governance. There is a president, vice-president, secretary, and two advisors. The executive committee is supported by auditing and disciplinary committees, with a quarterly General Assembly, and an elected leadership committee. It is truly run by the very community it supports and benefits. Additional good news that gives us hope for the future is that the government of Rwanda has committed to restore two million hectares by 2020 under the Bonn Challenge, which is a global effort to bring 150 million hectares of the world’s deforested and degraded land into restoration by 2020, and 350 million hectares by 2030. In order to achieve that target, the government is encouraging initiatives such as agroforestry that contributes to the restoration of degraded landscapes in the country, and our local partners are proud of being part of the national agenda. This post is adapted from One Tree Planted, you can read the original story or support this project.